Just a few moments ago I’ve gone on a long, long shopping spree for new The Sims 4 Custom Content for Create A Sim. Specifically – Maxis Match Custom Content that, in case you don’t know what the Maxis Match term is, resembles the original art style of The Sims 4. I went through a lot of suggestions, tweets and live chat messages that have been sent to me during which I managed to check out over two hundred new Custom Content items! There’s some truly amazing content that I’ve found during the shopping spree so I’ve decided to share them with you guys. Down below you can check out the full overview of the new content that I’ve found and tested out in the game. Below the video you’ll find a full list with download links with all the Custom Content that I’ve found – categorized under different creators. We’ll make sure to continue with this tradition and feature more creations in the very near future considering the Maxis Match CC Community is vast full of creative folks who give their best to create detailed clothing, hairstyles and CAS items for Sims that truly resemble (and even excel) The Sims 4’s art style. 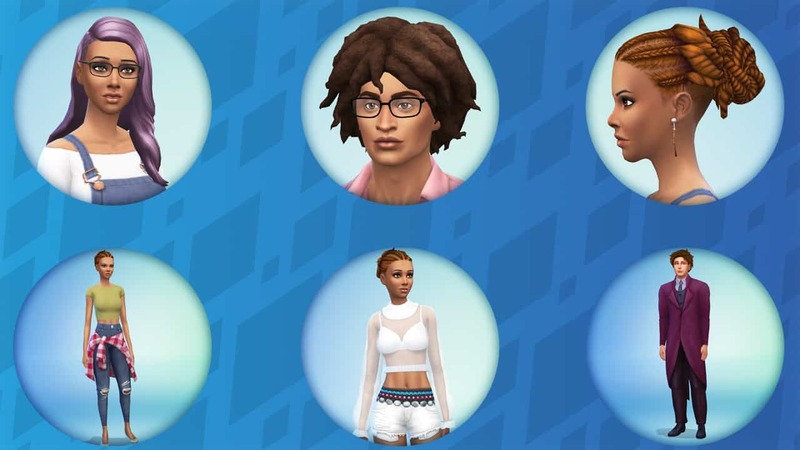 In this spotlight you’ll be able to watch (and download below) new Hairstyles, Accessories, Outfits and more items to dress your Sims in Create A Sim. The livestream replay down below begins exactly at the moment when we begin checking out the content we downloaded in game. To download the custom content listed down below simply click the links down below and find the “Download” button listed somewhere on the page that’s linked (it’s usually below the item description). Extract the .zip content and / or paste the .package files to Electronic Arts > The Sims 4 > Mods folder. Make sure you’ve enabled Mods / CC in your game options in order to make these items appear in your game properly! Origin Storewide Sale: Save 30% off on ALL The Sims 4 games!